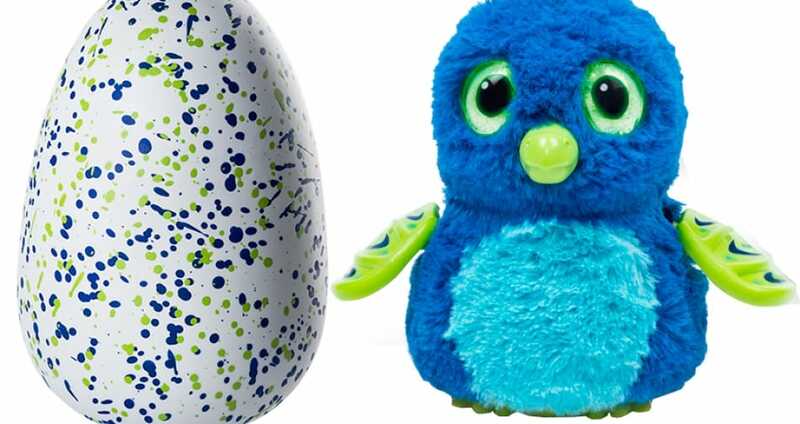 Many online and in-store retailers sell Hatchimals but finding them in stock is the problem due to selling out so fast due to their popularity. Big names such as Argos, Smyths, Toys R Us, Tesco, Sainsbury’s and more do sell them when in stock. Ok, so what are Hatchimals? These are large eggs with a toy within, these have become an instant hit with boys and girls because these eggs need nurturing and loving, once they have got this they will start to hatch revealing Draggles, Pengualas or Owlicorns that are interactive. Be sure to check back here because this is where you will find the best Hatchimals Black Friday UK deals, discount codes and more. If you know of anywhere selling these cheap during the sale event in November please do let others know in the comments. If you visit Tesco Direct online you will see that they have the The Hatchimals Bearakeet Egg back in stock, but my guess is as soon as you get there they would have sold out due to their popularity. These are getting harder and harder every day. Where can I buy one as i really want for a christmas gift for my little godson. You can buy them on eBay UK but they are selling for in the region of £80, but they they are popular so maybe you have to spend that little more if you want now. I would wait until Black Friday and sit there at midnight November 25th then hope you find one on the cheap in the sales. I saw Hatchimals in stock at Tesco Direct online, there was only one type left as the others were out of stock.